Every actor’s budding acting career starts with their very first acting audition. An audition is a pre-production process that involves the sample performance of an actor, singer and dancer. This is used by casting directors to screen out talents needed for an upcoming production or project. An audition is basically the entertainment industry’s version of a typical job interview. Like most job interviews, the audition gives the applicant an opportunity to demonstrate their range of talents and skills that will help them land a role. Similar to any common job interview, auditions or casting calls require the same amount of attention and preparation if you want to be successful in delivering a great performance when your name is called. While it is natural to feel nervous and anxious, the important key here to battle out your nerves is by making the proper preparations. Here’s a comprehensive and step-by-step guide on how to fully prepare yourself for that big audition. No matter how big or small an audition is, it is crucial in building the kind of resume that could launch your acting career. One of the most crucial things every aspiring talent should know is what they are signing up for, or in this case, what they are auditioning for. Casting calls or auditions vary greatly from one another. So, you do not want to show up in front of the casting directors not knowing what to do. Remember, they do not have time to entertain unnecessary delays in their schedule. 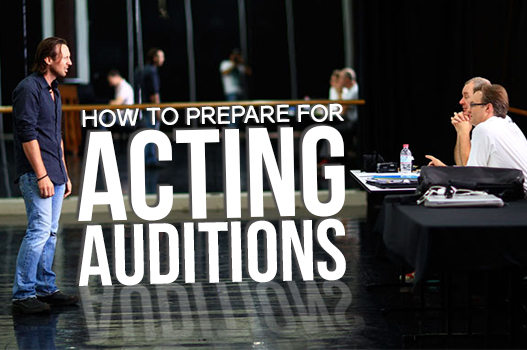 Knowing what an audition is all about will give you an idea of what to prepare for. Do your research on what the project is about. If you can, secure yourself a copy of the material to be used during the screening. This will give you an overall idea of what the casting directors are looking for. It will also allow you to pick out which parts from the production you want to use as your audition material. Familiarizing yourself with the production you are auditioning for will prepare you for anything that the casting directors might be asking from you at the venue. Like any job interview, an audition will require you to submit a resume. The only difference is that it should come with a headshot. These are among the primary tools that you can use in selling yourself as an actor. 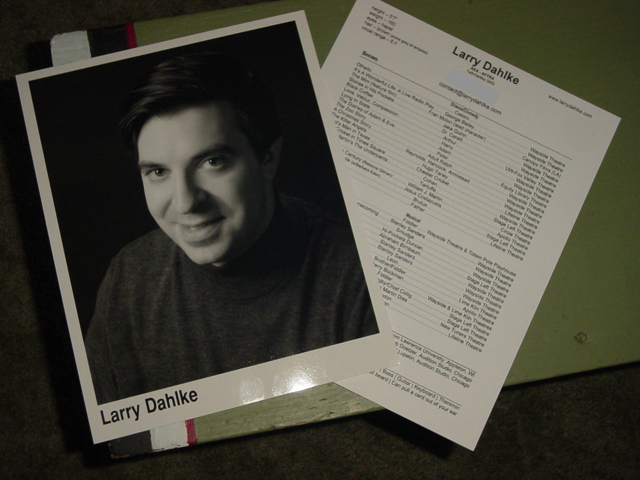 What many don’t know is that one of the things that casting directors look at, aside from your performances, is how you have put together your headshot and resume. Professionalism is key if you want to impress them and this can also be seen on how you present your basic marketing tools. When it comes to the essentials of creating an actor’s resume, an important thing you should remember is to limit it to one page only. While it is tempting to put every notable achievement you have had in your career, casting directors do not have time to read through several pieces of paper. Your resume should be on an 8-inch by 11-inch size of paper and must be divided into different sections, namely the header, work experience, skills and training. The header section should contain your updated contact numbers and personal information, while your various performances should be under work experience. List only the significant performances that you think will help you boost your credibility as an actor. Another tip is to make sure that you arrange them chronologically with your most recent performance on top. Your other skills aside from acting should be placed under skills, while your training section should include all acting classes or workshops you have attended. Another requirement you should pay attention to is your headshot. Do keep in mind that this image is similar to that of your business card. There are various kinds of headshots you can use to submit during your audition. It is important to research about these and to know when these head shots are applicable. – Make sure your headshot is always updated. If you have had a change of appearance, no matter how small, as long as it affects the way you look, update your headshot right away. – Ensure that your headshot features your natural look. Unless necessary, avoid wearing printed or frilly outfits in having your headshot taken. Keep your outfit simple and professional. Do not wear any jewelry as this will distract the casting directors from taking a good look at your facial features. Although it is tempting to come in character to an audition, it is better to look professional. Remember that they will be looking at your performance, not your outfit. Unless it is required by the production to come in full costume, it is important that you present yourself professionally in front of the casting directors. Wear something comfortable. You can go for a smart casual or business casual look. Putting on appropriate clothing that you feel relaxed in is always the best way to go, as what you are wearing can affect your performance during your acting audition. Do not forget to bring in some extra clothes and a sewing kit with you. You will not have time to run to the nearest store to buy another outfit or to get your outfit fixed in time, in case of emergencies. It always pays to be prepared. You can use your extra clothes as a costume by mixing and matching them up, especially if your next audition will require you to bring in some extra stuff. Remember that preparation and proper time management are key factors that could contribute to the success of your auditions. Before you go to any audition, it is vital that you already have the material you will be performing before the casting panel. If you were asked to prepare a monologue, then this is your chance to pick out the best one out there. Research on the different kinds of monologues recommended by experts and see which ones suit you best. Do remember that when you pick monologues for auditions, you should choose those that are closely related to the character you are auditioning for. Then, practice the piece. Learn it by heart. 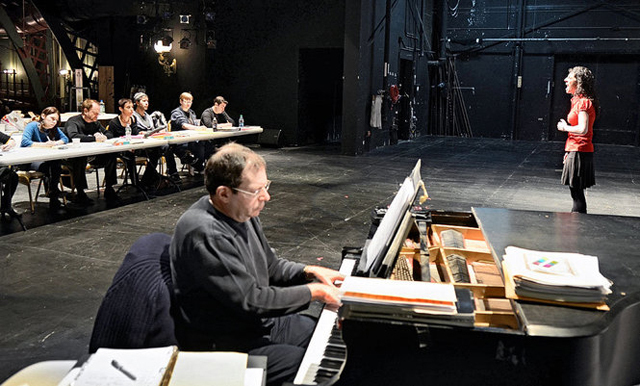 Practicing your chosen piece before your audition will allow you to play with various interpretations of the character, so you can see which is best. It will help you familiarize yourself with the emotions and the psychological profile synonymous with your role. Plus, practice, as long as it is not overdone, will prepare you for any eventuality during the actual screening. Aside from preparing for your auditions, another thing you should not forget to do is to confirm all its details. Generally, a contact number or an email is provided should applicants like you have questions about the audition, so make us of it. Unless directed otherwise, give the production or casting company a call and confirm all of details for an audition, especially if you have questions. Make sure that you do not just ask about directions to the location, if you are not familiar with it, but also all requirements you need to bring to the venue. Auditions are usually announced ahead of time giving interested applicants time to prepare. Use this to your advantage. 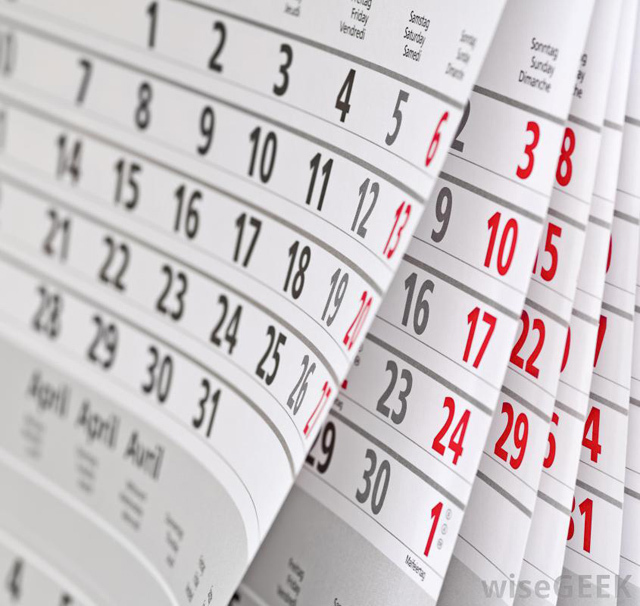 Mark your calendars by designating certain days for specific tasks you want to accomplish before the big day. If you have errands that will deter you from properly concentrating on the audition, do them in advance. Also, you should make use of this time to practice on your monologue and prepare all your other materials. Remember that you should already be prepared by the time the audition date gets near. If the location of the audition is unfamiliar, explore and familiarize yourself with the venue before the scheduled date. You cannot afford to be late on your audition. It is unprofessional and will certainly leave a not so good impression on the casting directors. While it might be tempting to cram just one final practice session into the night before an audition, it is certainly not advisable. As going to an audition will always be nerve-wracking, the best thing you should do before the big day is to relax. Your physical and mental state the day before will reflect on and affect your performance on the day itself. So, it is best that you do relaxing activities like going to the mall, reading a book, going to the beach or taking a walk the day before. And, at the end of the day, get a good amount of rest, as this will help you concentrate better on what to do during your audition. 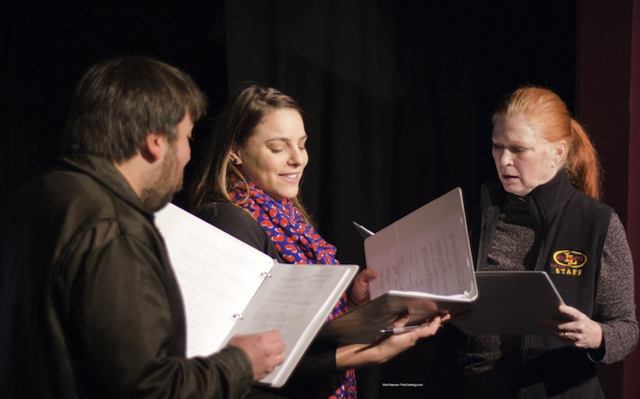 Joining acting auditions is the first step you can do to get your acting career on track. No matter how small or big the audition is, it is crucial that you are able to give out the best impression to the casting directors and all people involved in the production. Remember that anything can happen during and after an audition. While there are times that you’ll get the role or get a callback to redo your screening, there will also be more of those instances when you will not hear anything from the casting professionals. Although this is one of the most unpleasant parts of your journey in becoming an actor, do not lose hope. Rejections are part and parcel of going after your dreams. One of the most important things you should remember about acting auditions though is that it will take you one step closer to achieving your goals. Every audition will teach you a lesson on how to improve your craft. Take the comments given by the casting directors as a chance to hone your talents further. The road to becoming a successful personality in the entertainment industry will not be a smooth one. It takes hard work, dedication, and passion to improve your craft if you want your career to take off. Remember that even our favorite Hollywood celebrities underwent the same rigorous process and training you are now facing. So, make all of your acting auditions count.